[Source: blastr.com] It’s been more than a decade since Joss Whedon tried to get a Buffy the Vampire Slayer animated series off the ground, and now one intrepid fan has stepped in to give him a hand. Hollywood, make this happen. Now. Back in 2002, Whedon pitched an animated series that eventually died in development hell once they couldn’t find a network to air it. Not content with the official 10-year-old concept reel below, artist Stephen Byrne put together a fantastic, fan-made intro for the nonexistent Buffy animated series the world deserves. Check out Byrne’s clip above. Go ahead, take your time — you’ll want to watch it a few times and revel in the awesomeness. 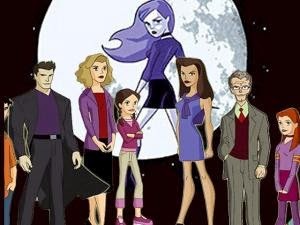 Byrne’s whiz-bang clip, which features Buffy and the later-season gang, is the perfect pitch for just how fun and whimsical a Buffy animated series could be. Heck, considering Whedon’s cachet and the lingering love for the series, we’d argue the project could still be a hit today. Cartoon Network, you listening? Now, we need your opinion — check out the original decade-old pitch reel below, along with Byrne’s clip above, and let us know which version you prefer.